Alexa – She’s like that only! Here’s a sneak peek into some of the things Alexa learnt and is still learning to get an Indian makeover. India loves its music and we even have our own style that’s captivated audiences worldwide. So, Alexa decided to go to her recitals early on. 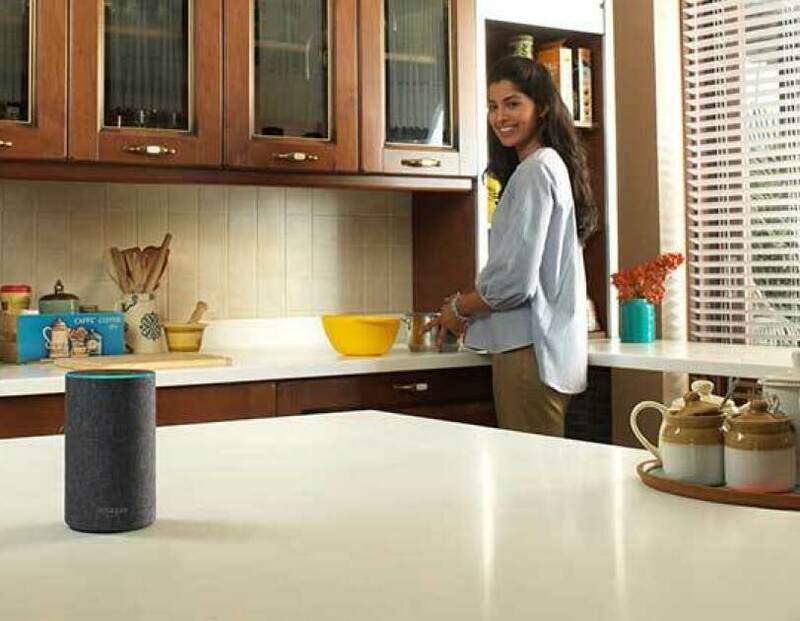 With its multiple film industries – Bollywood, Tollywood, Kollywood, Mollywood, Sandalwood and whatnot, Alexa has learnt the songs, melodies and hits of many major Indian films, genres and singers; right from the legendary Yesudas and Lata Mangeshkar to the contemporary genius of Arijit Singh. Say “Alexa, play Yesudas devotional music” or “Alexa, play Jagjit Singh ghazals” and Alexa will play it for you. After all, she has learnt to understand the way we ask for music. Indians have a soul connect with food and so shopping for unique Indian ingredients is a gastronomic journey that we totally love! And so, Alexa has been studiously learning the names of Indian ingredients so that she can help you shop for your kitchen staples. Right from elaichi, garam masala or sambar powder to atta mix, the next time you want a key ingredient that will add the authentic Indian flavour to your dish, all you have to do is ask Alexa to shop for those! Yes, like most of us, Alexa too had to get on the sporting wicket as soon as she landed. Because in India, while cricket is played on the field, the analysis will be done by just about anyone. From which player saved the day, to who ruined it, to sundry tidbits from the match, Alexa has caught the cricket fever! She will update you with live scores, tell you when the next match is, previous match results and of course, share some cool info about the cricket stars as well! Howzaat for starters? Well, Alexa may have bitten the cricket bug, but before you think, cricket is all she knows, Alexa will tell also you what’s trending as she’s pretty updated with the latest happenings around the country. Ask her “Alexa, what’s up” or “Alexa, what’s trending” and you may just have fodder for the next living room debate. We all need humour in our lives and Alexa’s quirky, desi avatar promises to come up with jokes that could even make your pet lizard smile. Whether it’s a Bollywood or cricket joke and Alexa will tickle your funny bone. Her pop-culture references are spot-on too. Try saying, “Alexa, show me the money”, “Alexa, winter is coming” or “Alexa, what’s the first rule of fight club” and look how she responds! What’s more, she can sing, tell you stories, flip a coin or even tell you a riddle. 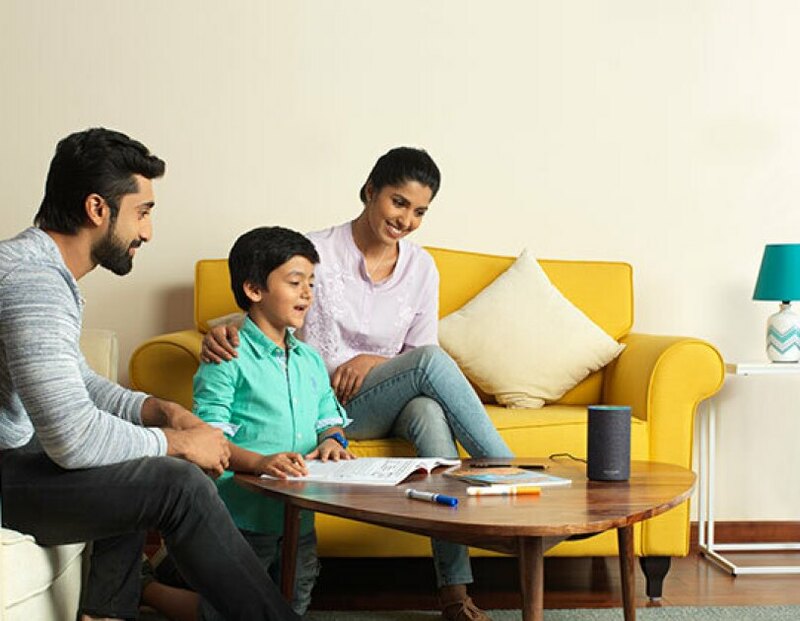 Well, so Alexa’s taken effort to become a true, blue desi girl and she’s ready to keep learning more and more and keep you engaged and entertained! Because for Alexa, like all other Amazonians, it’s always Day 1!